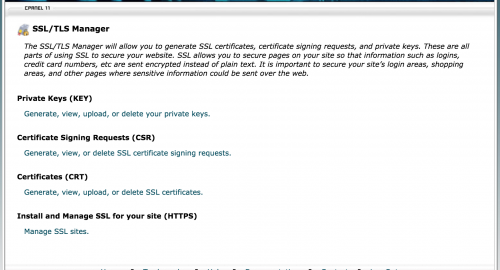 To start with, if you haven’t already purchased an SSL certificate, a Certificate Signing Request (CSR) needs to be generated for the particular cPanel account and its domain name. 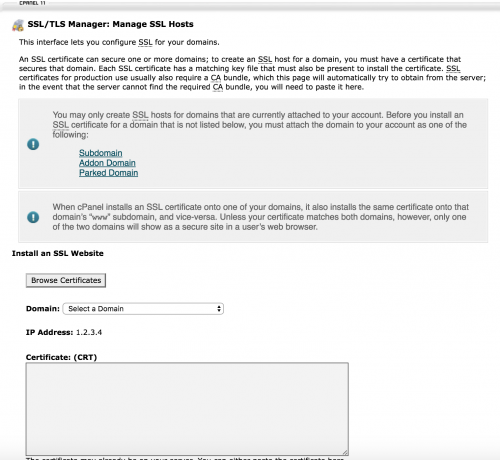 This can be done from within the ‘SSL/TLS Manager’ section within the cPanel account area under the ‘Security’ section. Click on the ‘Generate, view, or delete SSL certificate signing requests.’ link to generate a CSR. Now you’ll need to add the domain that will have the SSL certificate installed as well as information about the individual/company who owns the domain. The CSR will now be generated and this will be used when purchasing an SSL certificate through an SSL certificate provider. 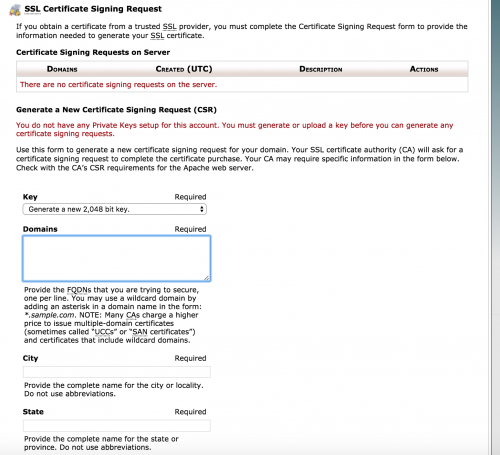 When you have purchased and retrieved your certificate bundle from the SSL certificate provider, the certificate .crt file will now need to be uploaded. So to do this head to the ‘SSL/TLS Manager’ section and click on the ‘Generate, view, or delete SSL certificates.’ link. You can either paste in the contents of the certificate file or upload the .crt file directly. You should then be able to choose your domain from the dropdown. When you have done so, the ‘Autofill by Domain’ button will appear next to the Domain text box. 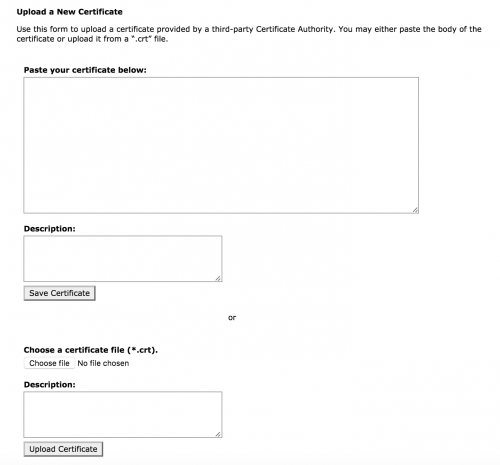 Click this and the relevant certificate details should populate the form fields. Click the ‘Install’ button at the bottom of the page and the certificate will then be installed against the domain. When visiting your domain, you should now have an SSL certificate installed and a nice green padlock beside the website URL on the left hand side. If you do not see this, it is possible that your website is trying to load http:// related resources over the https connection. Update your links to https and this should be resolved.